Stunning 35 acre lot in Equestrian Community, Build your Custom Dream Home!!!! 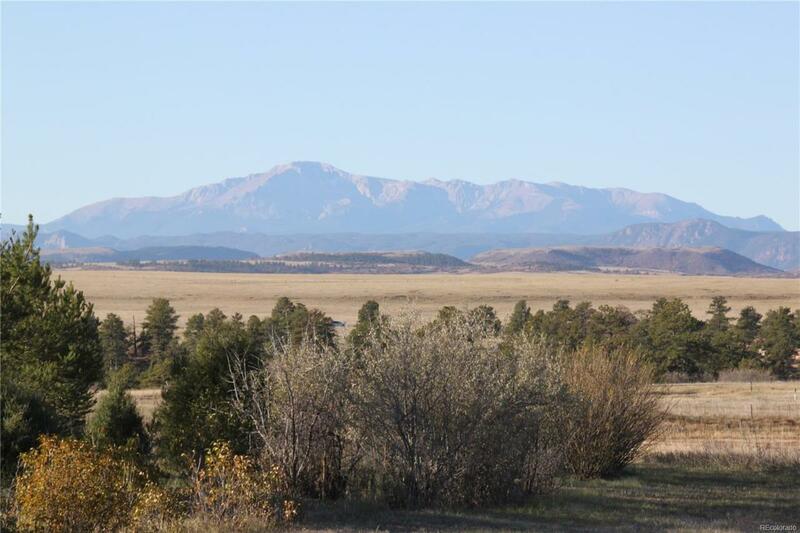 Incredible Front Range Mountain Views-Pikes Peak to Longs Peak, located in Gated & Paved Subdivision w/Multi-Million Dollar homes. Just 10 to 15 min from Parker / Castle Rock,close enough to all you need while enjoying peace, tranquility & serenity. A unique one of a kind property that must be seen to appreciate all it has to offer. Property also features a Well already drilled w/right to drill another & Adjudicated Water Rights for both Wells (2 acre feet p/year for both wells); electricity on property; partially fenced pasture (approx 20-25 acres); over 200 trees & bushes on drip system, AG Status-Low Taxes!! Bring your Horses, Cows, Llamas or Alpacas and many other animals. You will also see beautiful Wildlife & Waterfowl. Covenants allows for Primary Residence and 3 outbuildings, lots of opportunity to build your Custom Estate!!! Nothing better on the market at this price, A true Must See!!! Offered by Realty One Group Premier.